Below is another both of these. Thanks to the MSP Web Site whose Districts we closely follow! 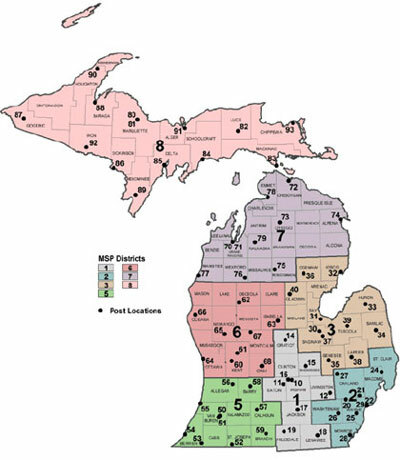 The maps here (and on the MSP website) are slightly out of date; Alcona and Oscoda counties are part of District 3, not 7. The Section Staff page clearly denotes which counties are in which Districts. Always make sure that you verify the information with the visual. While neither of these are of the best quality pixel wise they will do for the moment. If anyone has a better District Map please send to the WebMaster. Both of these are roughly of the 600 by 400 type of resolution. In order to be more readable on some machines these need to be a minimum of 1028 by 800 in resolution for the original. 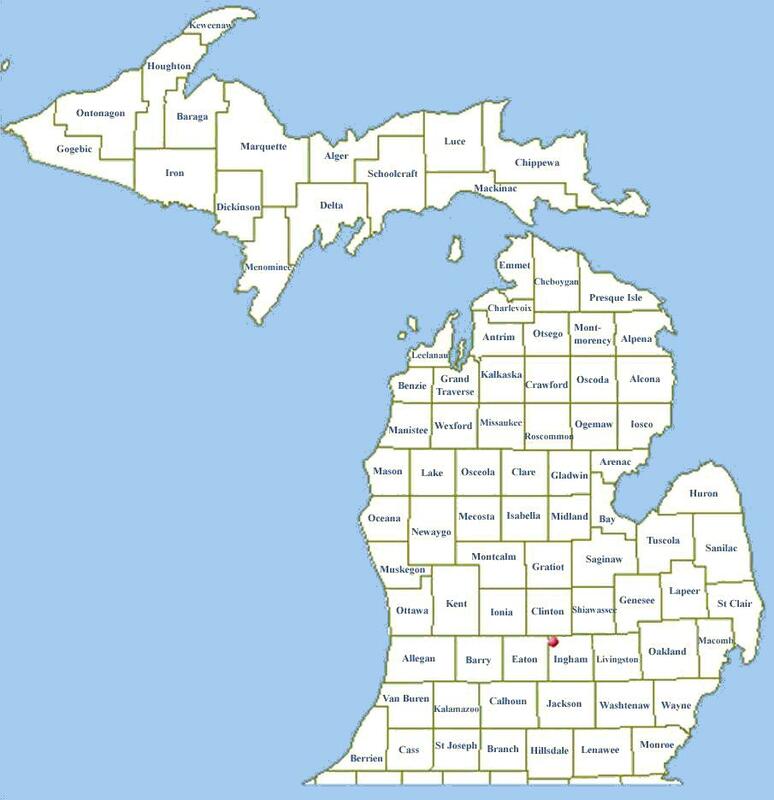 This last map is from the MRRC Mad River Radio Club Michigan QSO Web Site. It is a larger map and can be saved to your computer by Right Clicking it and then Save As. It doesn't have the Districts divided on it.